Arcade Tables for sale Melbourne and Australia wide. At Arcade Classics Australia, you will find the best quality arcade tables for sale. All of our arcade tables for sale are made here in Australia and come with a full 12 month warranty. We do not import poor quality arcade tables from overseas, we manufacture locally to ensure the highest quality of arcade tables for sale. We offer arcade tables for sale for both home and commercial use. Arcade Tables make a great gift idea, a great addition to the man cave, or fun for the staff in your workplace lunch room. Generate extra income and attract customers to your venue with a classic arcade table. We offer a range of arcade tables for sale. The Classic Arcade table is an affordable arcade table designed for home use. Made here in Australia the Classic arcade table offers 60 classic arcade games for you to enjoy. 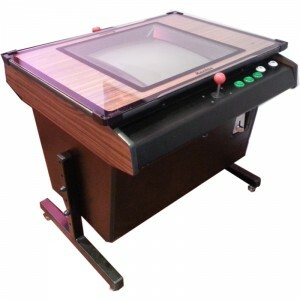 The Hankin Operator Arcade table. Adjustable leg levellers for uneven floors. 21″ CRT tube for authentic arcade look and feel. Electronic commercial grade coin mechanism. Heavy duty laser cut steel work. The Hankin Classic Arcade Table. The Hankin Classic takes the design of the Hankin Operator and packs in extra games and features for the home user. 1200 classic games with unique two player modes. We always carry stock of arcade tables for sale, and offer a lay-by service so you can secure your table and ensure delivery to your door Melbourne wide. Visit our store to view our range of arcade tables for sale.